He asked God where to go and what plans were in store for him. The next morning, he received an email with the opportunity to work at California Baptist University. 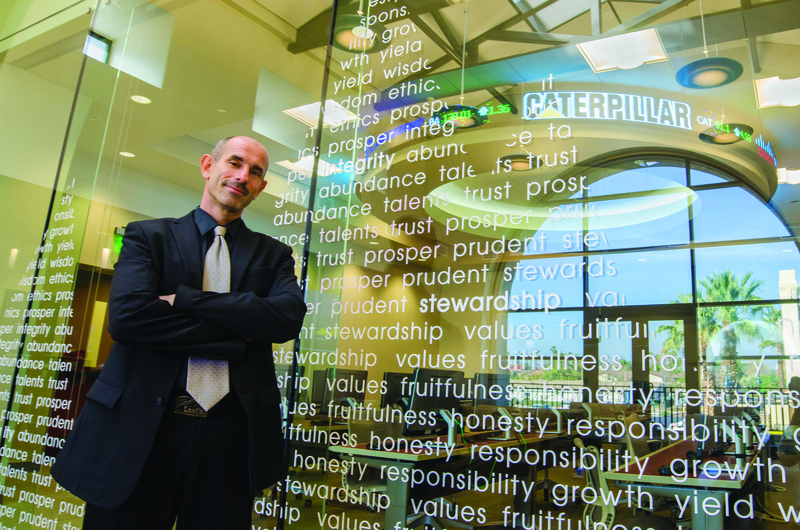 Dr. Franco Gandolfi, dean and professor for the School of Business, said he has grown in experience from his travels, but he never dreamed of where God has placed him now. Gandolfi accomplished his schooling in Switzerland, his home country. There, he earned his first college degree in commerce. He left Switzerland afterward, to study English in Australia for 10 years. He chose Australia because of the high standard of living, high quality of education and wide open spaces. While there, he earned his second degree in education, as well as his doctorate in management. He also met his wife, Jodie. Gandolfi was also part of the Swiss military for 22 years, reaching the rank of first lieutenant, the highest rank for a non-full time combatant. In 2004, he came to the U.S. to work in Ohio, where he taught international business courses for three years. He then moved to Virginia, where he directed a master of business administration program. Gandolfi’s first response to the new job opportunity was not to move to California. However, after a while he felt God was pursuing him and opening his heart to the possibility. Gandolfi has been at CBU for a year and a half, and he said he loves working in this setting. Gandolfi also mentioned that he has established great relationships with faculty and has felt extremely welcomed. “He is a really knowledgeable guy and also very personable and really easy to talk to,” said Jonathan Frey, senior accounting major. Frey said he feels his time at CBU has definitely helped him grow both in his faith and academics, especially with the Master in Business Administration program. Gandolfi said he encourages his students to look into the MBA program. Natalie Winter, associate professor of marketing, said she first encountered Gandolfi when he was interviewed on campus. She said he has brought a different area of expertise and experience to the business school. As he continues to work hard, encourage students and be globally involved, Gandolfi said he reminds himself to trust God no matter where those steps may lead him.